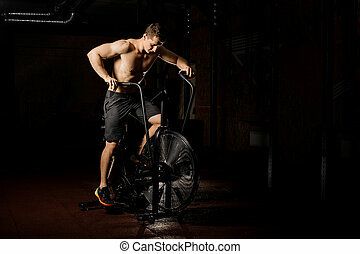 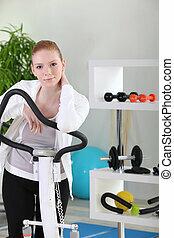 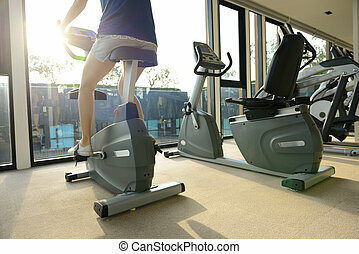 A stunning young woman using an exercise bike in the gym. 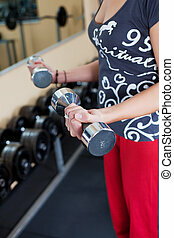 Young woman using dumbbells in a workout at the gym. 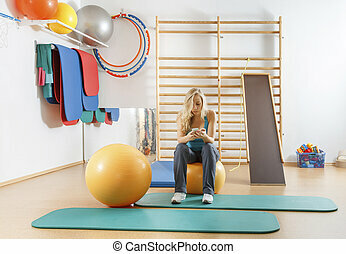 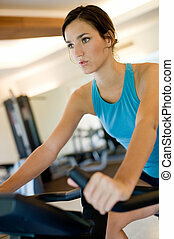 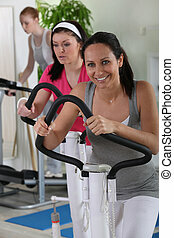 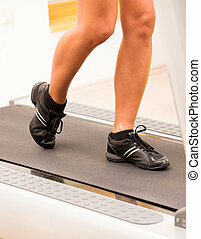 Young woman at the gym exercising. 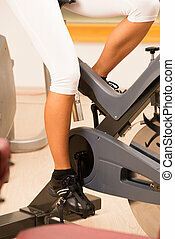 Run on on a machine.